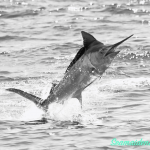 Black marlin on the move. 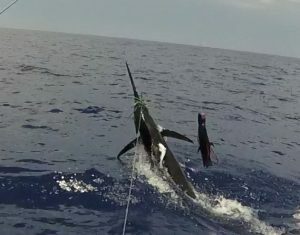 Here on the Gold Coast the weather for January was ideal for chasing both blue marlin and black marlin . Taking full advantage of the calm conditions allowed Hotshot to not only marlin fish in shore but out wide in the deeper offshore water as well. With lots of bait schools around we expect the fishing to get even better in the following months. HotShot targeted both blue marlin and black marlin. 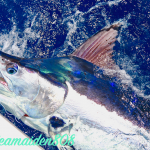 Black marlin were primarily found inshore around bait schools along the 80 meter line. 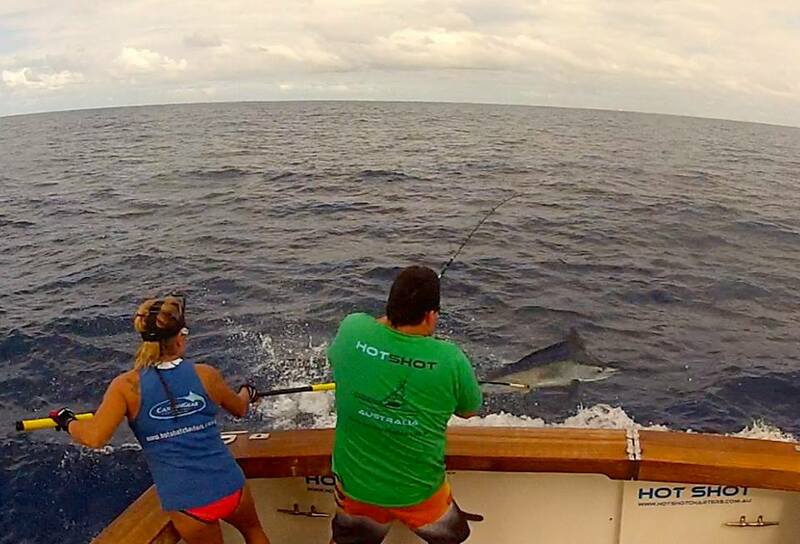 Hotshot was able to catch black marlin both with live baiting and as well as trolling with lures. 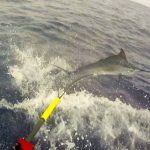 The majority of the black marlin that were caught have been around the 20/30 kg mark but there has been some nicer black marlin around in the 50/60 kg range. 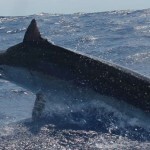 The blue marlin fishing started off consistent and steady at the beginning of January. 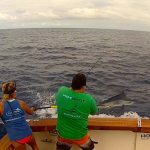 It only improved as the month went on with Hotshot catching blue marlin on lures as well as teasing/ baiting and switch them on stand up 50 LB tackle. The blue marlin ranged from 120 kg to 200+ kg and were found out wide in the deeper water, 200-500 meter lines. Also for the month Hotshot Charters was able to catch some really nice wahoo and mahi,mahi as we trolled in at the end of the day. Both of these are a real bonus as they are both extremely good table fare. Hotshot had the chance to fish with some amazing guests. Ranging from locals as well as from some places as far away as Costa Rica. Spend the day with us, on board Hotshot Charters.